“Southwark has changed,” people kept telling me when I mentioned where my AirBnB was located. I wouldn’t know. Never been. But I liked it. Multicultural, convenient to both sides of the Thames, replete with restaurants and pubs, and always sunny and warm. Well, maybe not always, but it was for the three days I stayed. And – this is important – close to the Southwark Playhouse. You WILL want to visit. 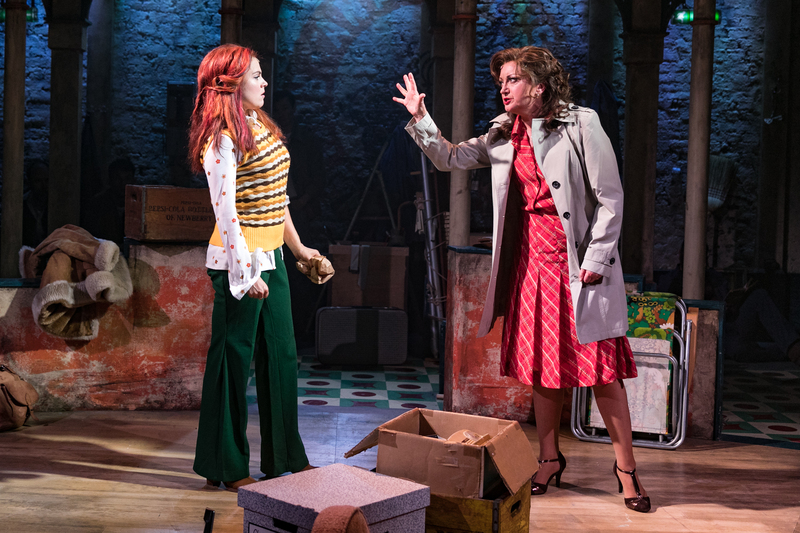 I base that assumption of my experience with “The Rink,” a rollicky, quirky musical revived for this gig at the Southwark Playhouse. Catching a bus was a snap from my cozy digs close to London Bridge; not far from Bermondsey. Done up outside with a retro marquee signage, barrel seating and wooden tables, the venue echoes the vibe of the neighborhood – lively, colorful, relaxed – and on that spring evening, a welcome respite from the hurly-burly of Central London and the West End where I had been the previous evening to see a play at the Harold Pinter Theatre. Don’t get me wrong, I love the West End. 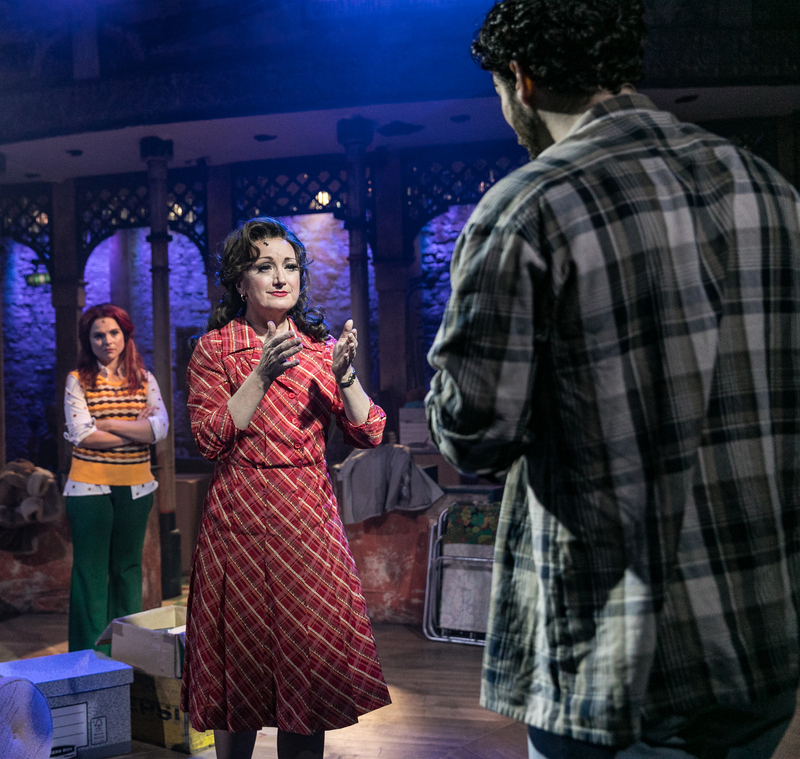 But for something completely different in a theatre-going repertoire, take a flutter on the Southwark Playhouse. This way, please. Have a look. The lobby is bustling with pre-show traffic collecting spirits and snacks beneath posters from past productions. Many – the Southwark Playhouse Theatre Company has not let the proverbial grass grow beneath their collective feet. Every three weeks or so another productions mounted. Later this summer, “Sticky” and ”Infinite Joy” will play. 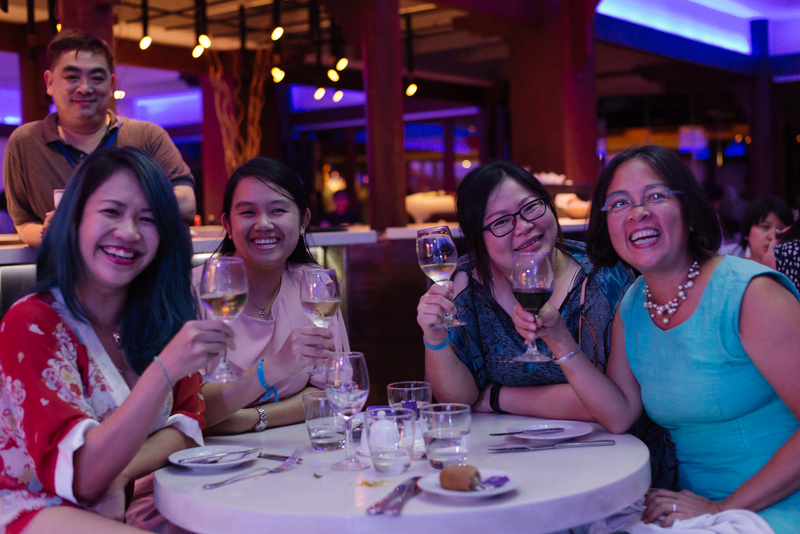 I’m flying back from Singapore for each… OK, I’m not, but wish I could and urge anyone already in London to pop for a £20 ticket and get ready for something a bit different. Produced with a large helping of panache, “The Rink,” itself, was a bit different. On three sides, risers with folding chairs focused on a moderate-sized open floor space – the stage. I’m talking moderate-size and I was thinking, hmmm… this for a play about a roller rink? Kinda small, what? Damned if they didn’t pull it off, though. Production numbers on a stage this size? No way. Can they do it? Yup. The play centers on a middle-aged mother, Anna Antonelli (Caroline O’Connor) and her estranged, thirty something daughter Angel (Gemma Sutton). Mother has sold the rink. Daughter returns to stop her. Husband/father appears in memory. A match made in heaven this marriage wasn’t. Regrets? They’ve had few. Workmen lurk, eager to begin the destruction of the rink and a family’s not always happy history. Anna and Angel carry the action attended by seven other actors (teaser – one is eight-years-old). These people sing. They dance. They don’t miss a beat or a step and they do it mere inches from those in the front row (I was in the second, stage left – best seat in the house; at least I thought so on that magical night). Like an itch that can’t be ignored, tension between Mother and Daughter underlies the atmosphere. As they try to recreate what had never been created, the past looms ready to bite the first one bold enough to hark back. Mother and Daughter wrangle to see who will do the harking first. These are not reticent women. Boils lanced, the mood quickly becomes toxic with regrets and thoughts of what might have been. The breakup in the marriage and, subsequently, the family, is mirrored in the decline of the rink and the memories of times that nurtured innocent fun at the roller rink. Make way for new development. Clear out the old – rinks and relationships. Lest this all sound a bit dismal, though, Anna and Angel never lose their senses of humour even in the worst of times. Those senses are heightened at one point with the help of a toke of wacky tobacco. They get the giggles. We got the giggles – brilliant acting this. 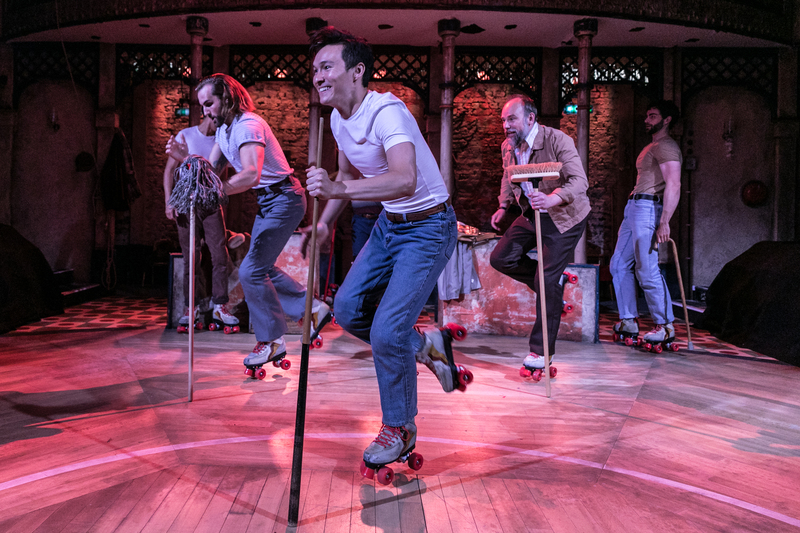 Supported by a lively, eclectic ensemble of six guys who play various roles and, in a show-stopping roller dance number, perform feats on wheels that don’t seem quite real on this small open floor space. Yes, Anna and Angel don skates, as well at one point. The cast, like the production ROLL! The sell-out crowd with whom I shared this intimate space found it hard to contain their enthusiasm after each song. 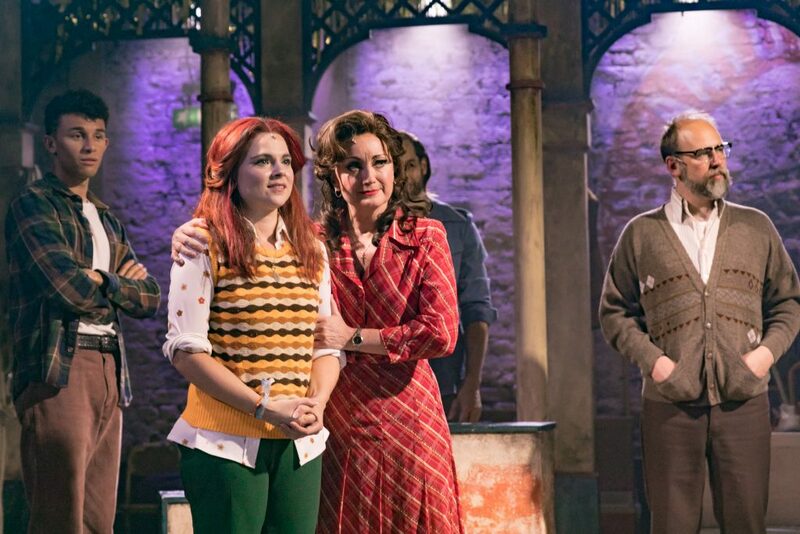 By the end, we were all on our feet to laud this terrific revival of an underestimated and too-little appreciated musical. My advice? Do what you need to do to score a ticket and roll on over to Southwark. You won’t be disappointed – promise!